So, for example, you might ask students to determine how they will present the content knowledge they’ve acquired through the project (they might do this through an essay, quiz, presentation, film, etc). I appreciate the suggestion for opportunity being provided to students to have input on how the content of the curriculum in the PBL unit might be demonstrated, what evidence will be sought and accepted, for that learning. Excellent. I quibble just a tad with the message to avoid separating assessment of content and skills development. My reading of Brookhart, which informs much of this post, is that we need to be as clear and specific as we can about what exactly we are assessing in each assessment we undertake, and far too often it will muddy the waters to blend assessment of content knowledge and skills. To assess content knowledge and understanding, have students take a quiz, do a quick-write to explain a concept, or complete an individual homework assignment. On pages 79-80, more help is provided about how student work should be graded. Instead of giving one overall project grade or score, assign a grade or score to each product or performance in the project. Include a mix of individually earned grades and group earned grades in every project, and record them separately in your grade book. Especially when you’re new to PBL, play it safe by giving more weight to individual grades. Separate grades for demonstrating 21st century skills from grades for learning subject-matter content. Note that they recommend separation of grades for skills and content, different from the High Tech High Work that Matters recommendation. Determine, yourself and/or with your students, how students will demonstrate that learning, and in other words, what evidence you will seek and accept for that learning. Never be unwilling to give a good-old-fashioned test as one of the ways you will collect that evidence. Specify to yourself and your students the purpose of each assessment. Don’t assess the final project; don’t create a rubric for the final project as a project. On your own or with your students, develop the rubrics for each of the finite specified skills and content you want students to master, and then collect the evidence of students demonstrating these skills and content from a variety of sources, including, of course, the final project. I recognize that perhaps some will think I’m splitting hairs in the distinction I’m making between numbers four and five above–perhaps it is purely semantics. But, I believe there is value in reconceptualizing PBL assessment. Too often teachers wrestle– I know I have– with applying a single grade to the breadth of a project, even with a rubric that offers subsections. Too often we put too much emphasis on the final project through the PBL experience, teachers and students alike, because that that is where the grade will be, which can’t help but generate the perception in kids and even in teachers that the purpose of the project is to produce a quality project. How easy it is for all of us to think that! But it’s not. The purpose of the project is to for students to learn the skills and content determined to be most important in the experience of doing the project. By redirecting our attention to assessing these things, we both explicitly and implicitly redirect our students’ understanding of why they’re doing what they’re doing; by grading by ways additional to the project itself, including tests, we reinforce their understanding that the point of the exercise is to learn the material, content and skills. In doing so, we will help overcome the misconceptions the very term PBL can create and shift it toward what we intend, LbD– Learning by Doing. Incredible post, Jonathan. So much strong thinking about the overarching goals of PBL – from your great reading, leadership in the field, and practice. You have given us, your readers, so much to dig into, grapple with, and stretch our own thinking and practice. Thank you! While I agree with most everything you say, I’m not sure I agree with a blanket statement of not assessing the final project/product. If what you mean is akin to not reducing the complexity of the work to one final number, then I agree completely. However, I think I’m reading that differently. I am in favor of a “dashboard” of assessment components that match the complexity and real-life work of PBL. I could see “gauges” and “dials” on that dashboard that give feedback on various attributes, skills sets, dispositions, content areas, etc. But I think the elements of the final project/product are part of that. In my new work, the final product is heavily evaluated, but not in a way that could result in an artificial number of singularity in a grade book. When a product in the real world is evaluated it is “graded,” but hopefully in a way that pays tribute to the various parts and characteristics so that we can discern where the positives and negatives are – not as a reductionist, aggregated score to one number. I think of “Consumer Reports,” for example, and how they have multiple columns of info, not just “A, B, C,” etc. Am I making any sense? I’d love to talk this through with you more. This has really lit up some lights for me, and I have a lot more thinking, researching, and reflection to do. Hopefully, more experimenting and practicing, too. Thanks for the challenges and great teaching. Thanks, as always, for visiting and commenting here. An honor and a pleasure. So of course you are right and I agree: the final project/product is important and should be deemed important in the grading/assessing process. Of course it should. I am not arguing that only the process of preparing the project should be considered in the grading. I realize that perhaps I was too unclear in my messaging in this post– you are not the first among several extremely fine educators and readers to respond as you did– but please understand I meant for the message be be a little bit confusing: it was my aim to create some cognitive dissonance and disequilibrium in order, ultimately, to illuminate further. My main point here is about differently framing the assessment process , taking a different lens to it than I think is commonly the practice. We do count the final product/project as important, but we do so as evidence of what we are assessing, not in and of itself. At the end of the day, we aren’t seeking to help students learn to do projects, but to learn key concepts and skills– so those are what our assessment should address. But in order to evaluate whether our students have demonstrated if they’ve learned such concepts and skills, we examine their final project/product. To go to your analogy of your work experience, I’d argue that those who evaluate you don’t, really and in the end, assess your products but assess whether you are accomplishing, via the vehicle of your products, certain critical company objectives. They aren’t asking whether your awesome (!) booklet Brain Stuff is a quality publication, and they aren’t applying a quality publication rubric to it. Frankly, why would they care if you produce a lovely and smart publication? Instead, they are asking if the booklet and the rest of your work represents your company effectively, if it will serve to boost sales,if it will boost your prestige and position of thought leadership in your industry, if it will impress your prospective clients. (by the way, it will!) That is what they are assessing: these critical goals. Assessing these things, they then look at your work on the whole in, say, a particular quarter, including of course especially the finished products, and take all of this as evidence of whether you are accomplishing these critical goals. I recognize it might be a mostly semantic argument I’m making. But I think, and maybe I’m crazy, as semantic as this difference might be, it serves a critical purpose: redirecting teachers and students, in the course of conducting PBL, from what I think often ends up being a process which overly focuses their attention on the final product to instead a focus on what is most important: the learning that is meant to happen in the course of doing the project. I think teachers look at student final projects and sometimes get confused about what to make of them. They may be very different from each other, and they may each have a jumble of excellent and less than excellent elements. Some may be very polished, some might be a mess; some might be very smart about some topics but convey mistaken understandings of some important materials. Teachers try to apply a rubric of a quality project to the work, and it gets dicey- and everyone gets a little frustrated. “I didn’t know what you wanted, exactly,” the students (and their parents) say to the teacher. Frankly, I think some of the PBL training guides and workshops I’ve observed have really missed the mark on giving quality assessment guidance, and some studies show that even teachers who have been trained in quality PBL say they aren’t very confident in how they should assess the final product. 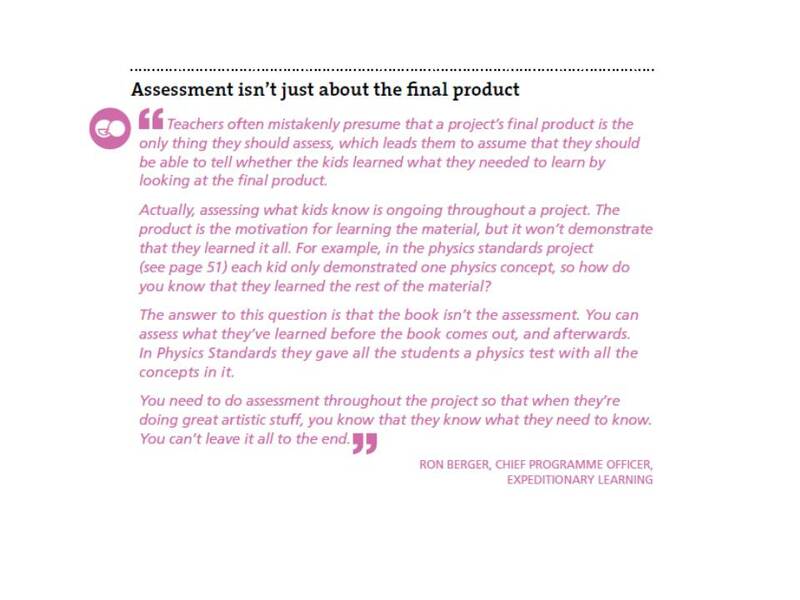 I think this is because we say we want the PBL project-completing experience to be primarily a driver of learning the key material, but then we have teachers go ahead assess the final project as a product, and not as evidence of what we intend they learn. I’m also heavily influenced these days by the work of Susan Brookhart, who really pushes this approach hard. She doesn’t speak to PBL specifically, or at least not in what I’ve read, but in her really good book Assessing Higher Order Thinking Skills, she explains again and again: decide specifically what “HOTS” you are intending students learn in a particular unit, and then decide what you will seek and accept as evidence of whether they’ve learned it– and frame your assessment that way. Hope this was helpful. Thanks again for commenting. Thanks for the response and dialogue. I love and appreciate thinking through this with you. As I said on Twitter, I now believe we are saying (or meaning might be more accurate) the same things, with slightly different nuanced language. As you replied on Twitter, you think we are 90+% in agreement, but the language matters. I think we might be more like 99+% in agreement, and I highly agree that words and language matter. As Peter Block has written, “all change is linguistic.” If we don’t have precise language and shared understanding it is hard for us to have aligned visual symbols in our heads of what we are discussing. 1. 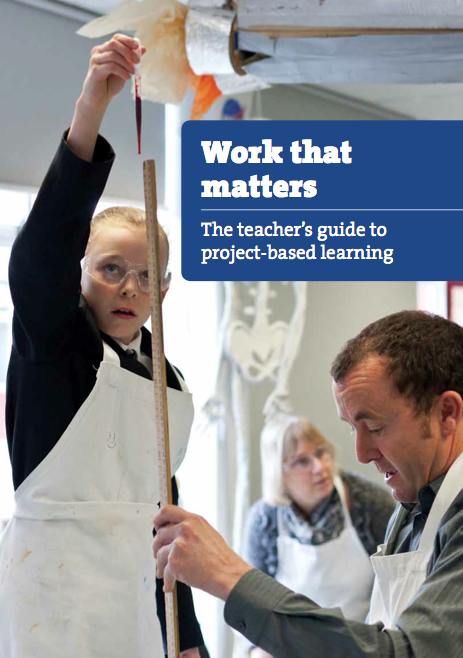 The word “based” in PBL might be the second most valuable word, just after learning. What we are primarily assessing and evaluating is the learning BASED on the project. I think I’ll make more effort to put the accent on that syllable! 3. In my most advanced experience with PBL, I co-created and co-facilitated Synergy – a transdisciplinary, community-issues, problem-solving course. @jgough and I registered the new course at the school as a “non-graded course.” We intentionally freed and liberated the experience from As, Bs, 78s, 92s, etc. By doing so, we were able to heavily and authentically assess. In my 20 year teaching career, it represents the most vigorous and intensive assessment I ever participated in. But no grades. Now, that I am at Unboundary, I am even more convicted. In our design processes, there is vigorous and intense assessment and evaluation, but not arbitrary, artificial, reductionist grading. But in Carol Dweck-ianism, we share very precise and specific critique OF THE PROJECT to provide feedback on how to improve, enhance, better, and re-prototype. 4. We developed a complex smorgasbord of rubrics – with the student learners, and according to the 12 main areas of learning targets, all of which had skills, content, and dispositions categories. These were tools that facilitated more precision and specificity, and shared understanding. But never did we have to boil those disaggregated sections into some number for a (damn) grade book. To do so would have moved me to the grave… At least tears and gnashing of teeth. So, I think we MUST assess the project – which to me means all of the formative and informative feedback along the course and completion and implementation of the project. The real final assessment will come if the project fulfills its intended purpose in the community. 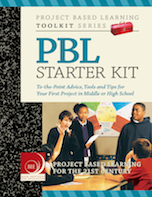 Otherwise, if the project is just for the teacher and the grade book, then I would NOT call it PBL. I would call it POL. But I agree. We must not GRADE the final project. To do so is ridiculous. It would be like trying to give my own children a grade for the year – from, say, five to six- instead of all the formative feedback and assessment along their journey. I would refuse to say, “Phillip, your get a 93 for your project of completing your 6th year on Earth.” That may appear a silly analogue, but it’s how fervently I agree with what I now think you are saying. Well, I am loving this co-thinking. Thank you! I am sure I’ve made mistakes – places where I think I was clear and it turns out I wasn’t. I trust you, my friend, to point those out. So that I can continue to learn and grow. For this issue may be one of the most critical we face as PBL practitioners. This is great, and so helpful to deepening my thinking, and hence to my learning and improved understanding. Let’s see: Lots of interesting points here. Let me try to tackle a few of them. 1. Emphasis on the second word of PBL. Excellent, yes, I’ll take that with me forever. 2. Grade vs. Assess. I’m trying to support and serve teachers who work in “regular” schools and are eager to do more and better and truer PBL, not POL, and most of them work in a place where there are grades. I think many of them don’t feel very confident when grading the PBL experience and PBL project/product– it is often so much more sprawling than a test or a paper or a diorama– and they wrestle with how to grade it. I think that they can find a better approach by being very clear on what they intend students to learn in the course of the unit, and and then assess whether they have learned those things using rubrics or benchmarks and using the array of evidence they can gather of students demonstrating that learning. If they grade students, as most do, then they can align the grades with these assessments fairly easily. If I want students to demonstrate they have an understanding of the causes of the American Revolution and that they can effectively read and critically think about three primary and three secondary documents about the causes, I set up rubrics for these things and students can demonstrate their learning in multiple ways including in the final project (and if they demonstrate that they’ve done so in ways other than the final project/product, that is fine to me). I don’t think it is so important to distinguish grading vs. assessing. Assessment is at the core, but if you have to grade, your grades will be far easier to determine and justify if you are assessing soundly. We can wish for teachers to not have to “grade,” but if we emphasize that too greatly we will suggest to those 90%+ of teachers who have no other choice that PBL isn’t an option for them– and I don’t want that. This is hard for me. I don’t think I’m suggesting the project be just for teacher and grade book– indeed, I worry that when educators stress to students heavily that they’re assessing or grading a good project rather than that they’re grading if students have deeply learned the intended understandings and knowledge, they are more likely to, explicitly or implicitly, steer students toward doing the project for the teacher or the grade book rather than the learning. I agree, of course, wholeheartedly that if the project is just for the teacher and the gradebook, it is not a good PBL experience. I think the work of doing the project is the best way for students to learn what we believe they need to learn in that unit. (And I’m fine with schools and teachers pulling back that frame to include students in determining what that learning ought to be, but for most teachers, they have limited latitude in their ability to do so, public school teachers even less so). So the PBL is, for me for, for the learning, and so we should assess whether they are learning what we intend for them to learn. You write the project should “Fulfill its intended purpose for the community.” I’m not sure I understand this. I’m arguing here that unless what we want students to learn in a particular unit is how to have an impact on or fulfill a purpose for a community, which would be a fine learning goal some of the time, then whether the project fulfills a purpose for the community is unimportant. The purpose of the project, what it “should do,” is for students to learn what we (ideally “”we” means teachers and students together, but practically it is usually just teachers) want and need them to learn. POL, in the High Tech High framing, is about students doing a project only after they’ve been taught, traditionally, the material, and then assigned to do a project “demonstrating” they’ve learned what has been taught. In that video they even explain that sometimes the project-product presented in POL may well be of fine quality– indeed, it could fulfill an intended purpose for the community– but that it is of high quality doesn’t mean it is more than POL. 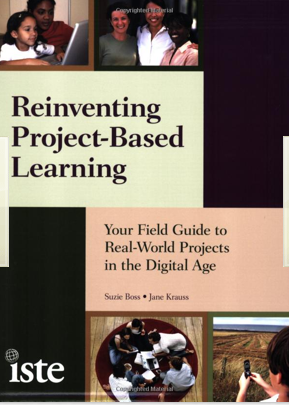 In contrast, PBL, project-BASED learning, diminishes the focus on the project and returns it to the learning by doing– where the assessment should then go to the learning. If the final project-product demonstrates the accomplishment of the learning, great. Thanks again for all the ways you are pressing me to think more carefully about all this! You are the best. In this comment, I’ll only respond to the “grading” thread. I think I am reaching some limitations in being able to have this conversation most effectively with asynchronous fingertips. I’m yearning for a face-to-face for working out some of these threads, questions, nuances, etc. So, about grading. I totally understand your points. I push back about “normal schools.” In my previous school the culture was to grade and in the same traditional ways as “normal” schools. We were willing for plan B to be to grade (despite my dramatic statement in last comment). However, we wanted plan A to be “non graded.” We asked. We did not assume that the answer would be no from the Academic Leadership Team and administration (of which I was a part, granted.) We decided the worst answer we could get was “NO, the course must be graded.” But we were willing to ask to make sure. Have all the teachers at the “normal” schools asked if they could pilot or experiment with a non-graded project? Not even a whole course. Just a project. Heavily assessed. But non-graded. An experiment. Do one graded project and one non-graded. Both heavily assessed. Call it action research. Collect information about student engagement.Dispositions. Learning outcomes. Etc. How many opportunities do we miss because we assume what the answer will be before we actually even make a case and ask? I thought I would have to fight and fight and fight for non-graded status for Synergy. I had had lots of “fights” about other similar, related issues. There was hardly any fight. In fact, the department chairs – many of them – rallied behind the pilot. Sometimes we just have to take the risk to challenge assumptions and ask. And if we got a NO, then we would have adjusted and dealt with the grading dimensions of the expectations. And again, we could have used our rubrics and translations tables to derive grades. We had a whole plan for that. But we did not have to use it. Other courses did. Other courses asked for non-graded and were told no. So Jill and I helped with those teams as they developed the rubrics and translation tables that would derive the traditional grades. Thanks for the thoughtful exchange. I look forward to continuing the conversation. I hope others will read and chime in, too! Great post, Jonathan! And as usual, Bo, your thinking out loud in pixels is causing me to think more deeply about assessment and PBL. I have more questions. Where does the project fall in the pbl vs. PBL taxonomy? I want to consider magnitude, direction, purpose, and scale of the projects. Why are we doing projects in the first place? Did the teacher think or say “Hmm…I need to teach quadratic functions. What project will do that?” Or, did the community find a problem to address and turn it into a project? Are we are talking about a project that will teach quadratic functions? I definitely think the project should be graded. I agree that there needs to be formative assessment throughout the learning episodes so that learners can calibrate where they are in relation to the target expectations and understand how to level up. 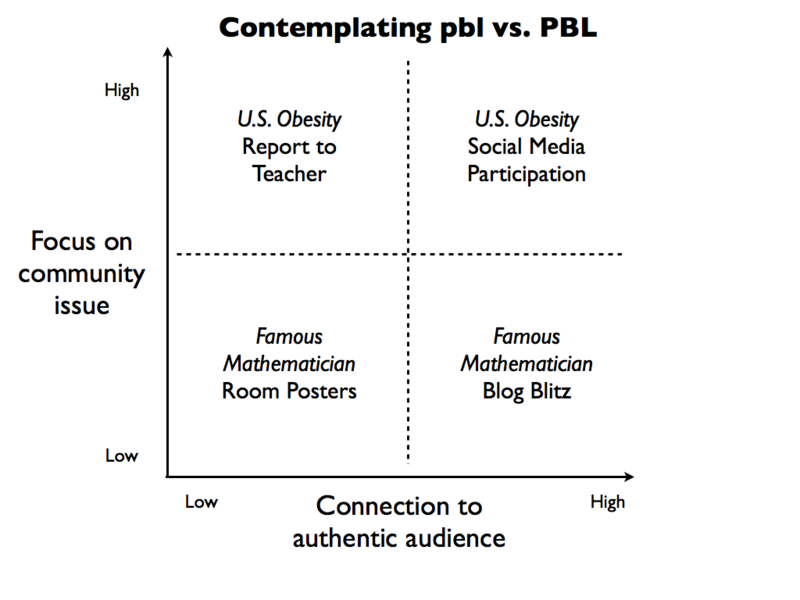 Where would such a project fall on the pbl vs. PLB taxonomy? Are we are talking about a project to improve living conditions in a community labeled as a food dessert? The assessment practices need to be different. Surely, with such a project, the essential learning outcomes have wider room for success. No longer are the learning targets as specific. We are assessing 4-7 Cs, project management, teamwork, etc. The 8th graders, having less than 18 weeks, are successful if they learn the community does not need another urban garden, but does need jobs. The 8th graders need to know they experienced success. If we do not assess their work, they may not know. The particular 8th graders I’m writing about actually said they were disappointed in their work; they only found 2 people jobs. !?!?! For me, their teacher, it was incredibly successful. Could they have done things better? YES! Did they learn? YES? Is it possible to put a grade on the outcome of the project? Depends. Should they receive feedback on the final product? Yes. Did they get to a final product? I don’t know. Should they have more time? Yes. In your original post, Jonathan, you write: “Assess not the project, but instead, assess the 3-6 things you’ve decided you want students to want students to know, or know better, and be able to do, or do better, at the end of the unit.” If the purpose of the project is to master quadratic functions, then I agree. I will say, though, that I feel someone uneasy about this statement when discussing projects in the upper right area of the pbl vs. PLB taxonomy. What if I underestimate what learners will learn, know, or do? What if, because I believe in student directed learning, they take the project in a totally different direction? Will I unintentionally and inadvertently steer their work and learning to what I want rather than what is possible? I agree completely with your statement. And, it makes me sad. Why aren’t we seeking to help learners learn to do projects? Why isn’t that considered a key skill? And, are we really sure that the key skills we selected are essential for our young learners? Thank you both, Jonathan and Jill. At this point, one of my biggest take-aways is this: CONTEXT matters! There might not be a blanket statement of “always grade” or “never grade.” It might (probably does) depend on context. That I agree with more than anything. And, I just received this from @jgough in an email! The PBL (project based learning) course 3 (in the PBL Immersion series) has weekly speakers. This week we are opening the one hour session up to the public. If you or you and your colleagues would like to join us this evening at 7pm EST- please do. Click here to join. Chris Preston is a middle school teacher from Cincinnati, Ohio who enjoys challenging himself, colleagues, and his students to push the boundaries of teaching and learning. Tell your friends and join us. Hello Jill, and as with Bo, it is an honor and a pleasure to have you participate here. Everyone here is making terrific points, and of course as Bo points out, Context is King– each and every PBL experience is unique and should be treated as such, and we shouldn’t have absolute rules. I’ll reiterate that I intended to use this post to create a bit of disequilibrium, to surprise people with a bit of an exaggerated rhetoric to lead them,perhaps, to think differently about PBL assessment and grading than they did before. I’m finding myself working on PBL more and more with teachers in schools where they have a curriculum they are expected, or hold themselves, to deliver, and who are expected or required to give letter grades. For the purposes of this piece, the issue of letter grades is, I think, and apologies Bo, a tangent. I think it is a different discussion. When I am saying Don’t Assess (or grade) the project(product), I am working within the context of urging educators to facilitate their students in learning the intended objectives by doing a project– and then to assess whether they’ve accomplished those learning objectives by evaluating the breadth of evidence available to them. I don’t think this limits anything at all Jill– whether or not we are discussing quadratic functions of food deserts. Let’s say we say to students that their project is intended for them to learn quadratics or causes and solutions to food deserts, and teamwork, and communications, let’s say– and I will say I think that we do better by kids and adults if we are specific and distinct and finite (3-6 things) that we want them to learn in the unit. If we then say that the project-product is what will be graded, a powerpoint presentation or a blog/website/video or a presentation to the city council or a memo for a candidate running for city council– that it what they will be graded on– their focus will narrow to that project-product, it will become all about the “nice” product– and we will suggest to them that all the other evidence of their learning they might generate will be secondary in importance. I think taking my tack described here does a better job of not steering students to what I want them as the teacher to do– the final product-project– but allows them to over the course of doing a project generate all kinds of their own ways to provide me evidence of what they’ve learned. If I say to them I’m assessing or grading the final project-product, that is where their attention goes; if I say I’m seeking evidence from a variety of sources they’ve learned what we’re here to learn, then I’m created much more opportunity for student voice and choice. We agree so much, Jill: if I say that the grade is going to the project-product, often my expectation of a quality of project-product will be too low, I’ll have underestimated what they can do. Your 8th graders said, if I understand you correctly, they were disappointed with their project-products. Often in PBL students and teachers both find, in the course of a complex PBL experience, that the aimed-for final product just doesn’t begin to capture and convey the complexity and breadth of what they’ve learned. You might find five students who narrowed their focus in the course of doing the project to create a “perfect” final product, and another ten who didn’t limit themselves that way and didn’t do a perfect final product, but explored further and discovered more and shared that in classroom discussion and on a class blog and in a spontaneous presentation to a store manager in an impoverished neighborhood. In a PBL unit where you the teacher have said to parents and students, the grade I give to the final project-product will be the most important part of the grade, of even if you allow that inference, then if you don’t grade the five students who did perfect project-products better than those who did sloppier or less well finished, project-products, there will be hell to pay. But that is not what I think should happen. If you say you instead you’ll be assessing the intended learning outcomes accepting the final project-product among other things as evidence of that learning, then you have the latitude to honor those students who went the extra mile even if their project-product was not smashing. And about the importance of “learning to do projects.” I said above somewhere that this might be a fine intended learning outcome for one or several projects of what might be in, a school year, let’s say, 30-40 meaningful learning PBL experiences. I just don’t think it makes sense to say that each and everyone of these 30-40 PBL units ought to include among their (what I think should be specific and finite) learning outcomes learning to do a project. Sometimes it will be learning to do a project, sometimes it will be learning causes of poverty or poor health, sometimes it will be quadratic functions, sometimes it will be communicating with digital video or creating a story exemplifying by allegory a mathematical concept– in a set of 3-6, usually, including both content and skills. But no, let’s not say to them in every project they expected now to learn how to do a project. Thanks Jill– hope this is all in good spirits. Appreciate the dialogue greatly,.